Since opening in 1927, Pine Lakes Country Club become known as “The Granddaddy” of Myrtle Beach golf. It has been a favorite of Grand Strand golfers for decades. 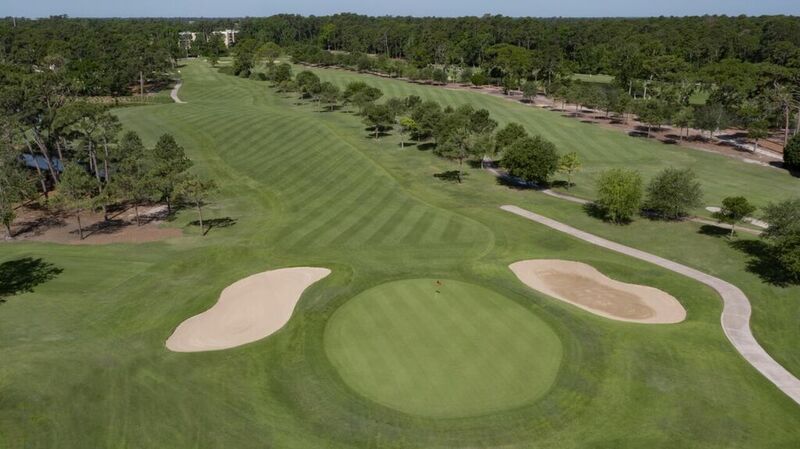 The course is nestled in the heart of Myrtle Beach in the original social center of town. The graceful Southern architecture of the clubhouse symbolizes the deeply rooted history and tradition of Myrtle Beach. Pine Lakes was originally built upon natural dunes less than a half mile from the ocean. The course features numerous freshwater lakes and rolling fairways. The history of the course and neighborhood bring back memories of the glorious start to Myrtle Beach golf. Pine Lakes Country Club was designed by architect Robert White, the first president of the Professional Golf Association (PGA) of America. White was also a co-founder of the American Society of Golf Course Architects. The “Granddaddy” has returned to its initial glory after a complete restoration. After an extensive renovation to the course and clubhouse, you are now able to experience the Granddaddy as it was in the spirit of the 1920s on your beach golf vacation. The front nine reflects White’s original design and classic workmanship. After making the turn, experience the totally different look of the back nine. The back nine was heavily renovated to enhance the elegant experience golfers from around the world associate with Pine Lakes Country Club. A historic plantation-style clubhouse is a great spot to enjoy a post-round beverage. Or a short walk around the property allows you a glimpse into the past. Be sure to check out the Myrtle Beach Golf Hall of Fame, located off the back garden of the property.